With the revolutionary Dipos Crystalclear screenprotector you are receiving one of the best screenprotector films currently on the market. According to non-prestigious surveys users particularly value the crystal clear view and the bubble-free application. The new Dipos Crystalclear offers mechanical protection and with it being crystal clear it is virtually invisible when applied. If you greatly value a true to original color display and a pin sharp font, but at the same time do not want to do without a screenprotector, then this crystal clear and thus virtually invisible product is the best choice for your device. The crystal clear visual appearance does not blur the display and does not interfere with viewing in any way. The Dipos Crystalclear screenprotector with its corresponding abrasive hardness is highly resistant to scratches. The abrasion resistance is many times higher than that of simple surface protectors. The material surface creates excellent writing quality with touch screen devices. With ordinary use of the device considering the manufacturer recommendations this protective film will expectedly last the entire lifetime of the device. The Dipos Crystalclear screenprotector adapts to the display without applying pressure. The application is very easy and can be repeated as needed. If necessary, dust and other foreign particles can be washed from the speciality silicone undercoating using clear water. Since the screenprotector is anti-static it will not attract dust particles when removing the protective backing. 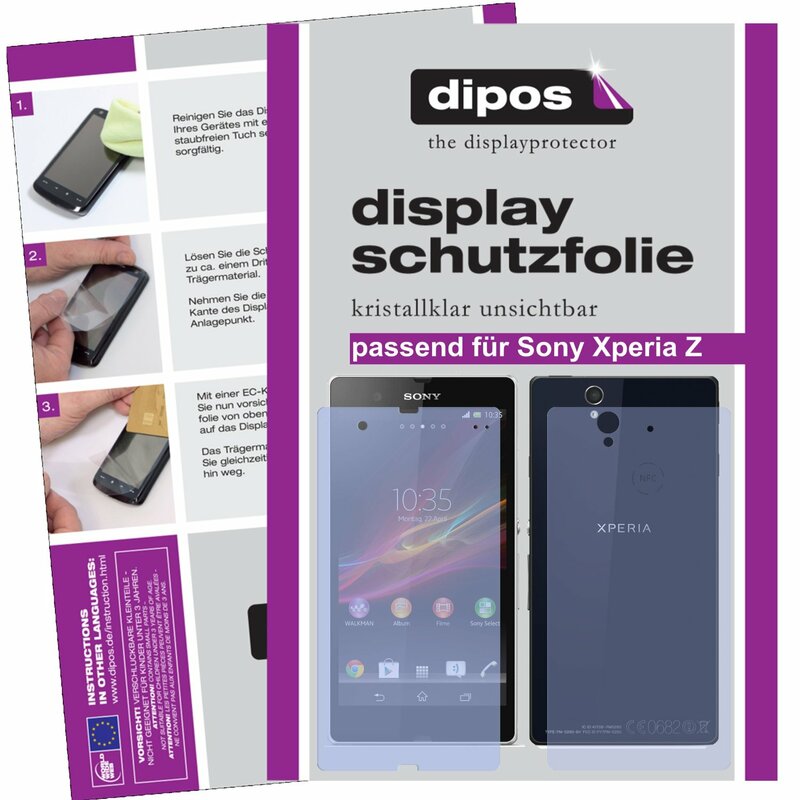 Naturally the Dipos Crystalclear screenprotectors can be removed from the display without residue. While the protective film adheres very well during use, therefore offering a crucial basic requirement for the long-term protection of the display, it is completely removable from the display without leaving any residue. The contour is designed using original devices, tested, and manufactured with modern precision machinery under strict quality controls. To simplify application each Dipos screenprotector features a special removal tab.